After a sore 3-0 defeat in midweek at Walton Casuals to knock us out of the FA Cup, we returned to league action welcoming mid table Crowborough Athletic. It took us just 5 minutes to take the lead as Callum Mcgeehan headed in a corner from the right. We then had a clear penalty shout not awarded due to an offside for the pass prior to the foul. We forced the ball in, to double our lead after 32 minutes through Jack Hope at the end of a series of chances in quick succession. Five minutes later our lead grew to three as Eku Dean put the ball across the keeper into the bottom left corner. 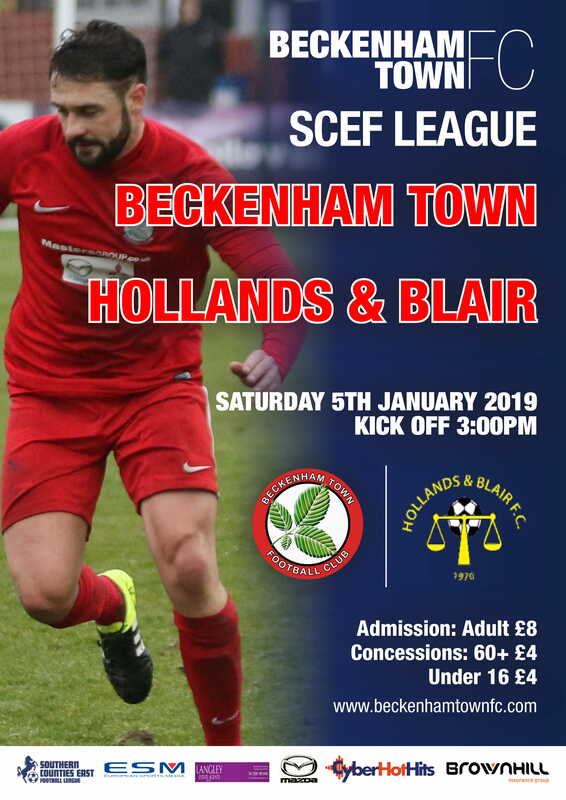 Becks gave away a free kick in a dangerous position just before halftime and Thomas Penfold stepped up and buried it to give the visitors hope to go into the second half. Callum Mcgeehan started the second half with another header from a corner to give the centre back a brace and make it 4-1 to ease any tension built up at halftime. 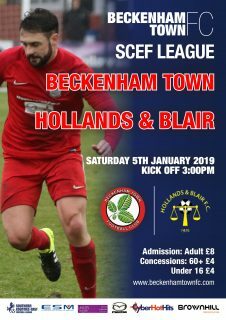 In the 53rd minute, Richard Atkins got amongst the goals making it 5-1 by beating the keeper from the penalty spot, dubiously awarded after red 11 went down the left to the byline and pulled it across to red 10 who went down dramatically after getting the ball ahead of the defender. A sixth Beckenham goal came from outside the box as Jesse Darko placed the ball into the bottom near post after 79 minutes. A shot come to pass was poked in at the back stick by Billy Bennett on his debut in the 88th minute to end the game 7-1. A spectacular performance from the boys and the win takes Becks top of the league with a game in hand and continues our 100% league record so far, firmly placing us as one of the favourites to win the league.